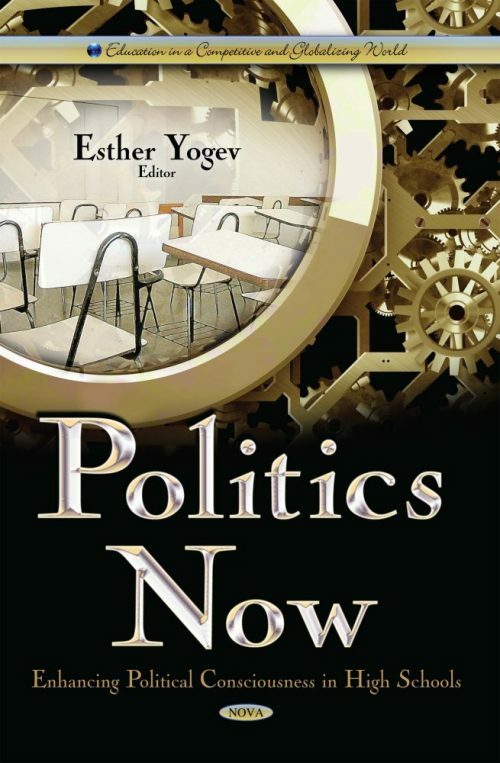 This collection of chapters deals with a troubling issue: the absence of education towards political-social thinking in schools. Politics is the public domain that organizes the life of the people through the exercise of power and the fulfillment of the interests of different individuals in society, within a reality of limited resources. Modern politics has an institutional dimension that is related to government and is concerned with the electoral process, representation, legislation, implementation and judgment. The civic dimension, deals with the connection between rights and responsibilities, the reciprocal relations between the individual and society and the extent of the individual’s responsibility for the public domain in which he lives and acts. From the late 18th century on, politics has also been characterized by an ideological dimension that strives to realize a vision of a better society as desired by this or that entity. The chapters presented here investigates the debate surrounding this question from an epistemological perspective, while presenting from other various angles. It also offers teaching practices that can foster political-social thinking among students. Because the authors of the chapters are members of the Israeli academic community, the Israeli reality will serve as the basis for many of the examples. At the same time, this effort to explore possibilities and methods to strengthen political thinking in the educational system can be very beneficial to all educational systems in the world, especially those that cherish the preservation of a robust democracy.